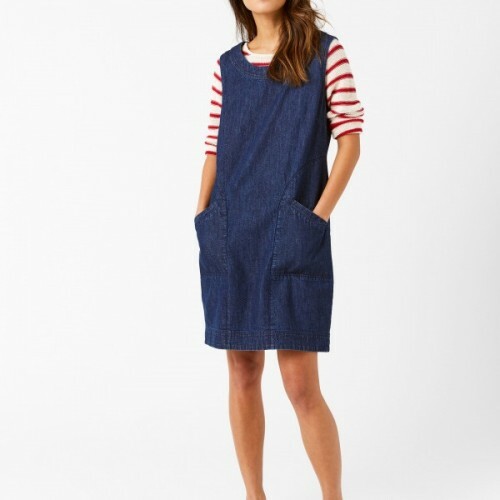 Our Darleen denim pinny is ideal if you're looking to switch up your everyday wardrobe. 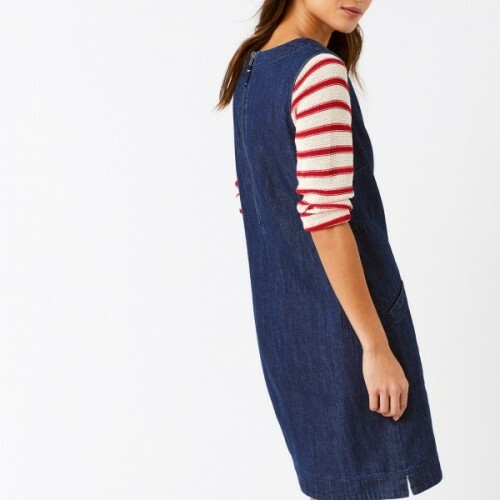 Perfect for layering, this dress comes in a sleeveless design and has handy front pockets. Sitting above the knee and fastening at the back with a zip, simply pop a stripy tee underneath for a fun casual look.